After a three-year hiatus, the Auckland Art Fair has returned, transforming The Cloud on Auckland’s Queen’s Wharf into a creative hub from May 25th-29th. The 2016 edition is bringing together 40 galleries and over 150 artists for five days of contemporary art exhibitions and boasting a new partnership with luxury, innovative automobile brand Lexus, alongside a huge range of new must-see attractions; this year’s event is shaping up to be the best yet. As part of the Auckland Art Fair, and Lexus' dedication to innovation and profiling up and coming Kiwi designers, the brand is including an exclusive exhibition of New Zealand design label, Resident, featuring their new collection straight from London. The pop-up installation will be held at the Lexus of Auckland City Dealership on Great North Road throughout the week. But that’s not all, one of New Zealand’s most internationally renowned designers, Karen Walker, both one of Lexus’ brand partners and a sponsor of Auckland Art Fair, will be travelling to the Gibbs Farm as part of an exclusive Art Fair VIP experience in her Lexus RX vehicle next Friday (the 27th). As well as these events, internationally acclaimed chef and art collector Peter Gordon is curating all culinary offerings at this year’s Auckland Art Fair and visitors to the Fair will have access to all four of the his delectable pop-up bars and eateries. As well as food and fashion, of course, is the backbone of the Fair, the art. Artists from Australia, New Zealand, South America and the Pacific will be exhibiting their works, with no doubt that The Cloud will be turned into a creative haven. 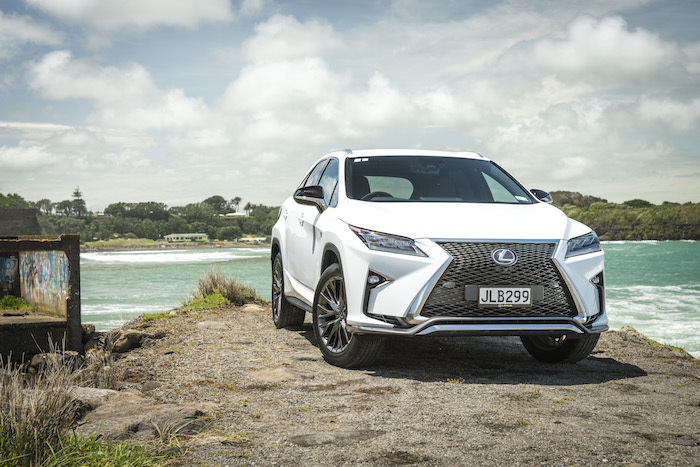 For those after VIP treatment, Lexus are providing chauffeur transport for VIP ticketholders throughout the week to a range of different Auckland Art Fair activities in the new boldly styled RX. Head here for tickets and more information. Have you entered our 24 Days of Giveaways yet?